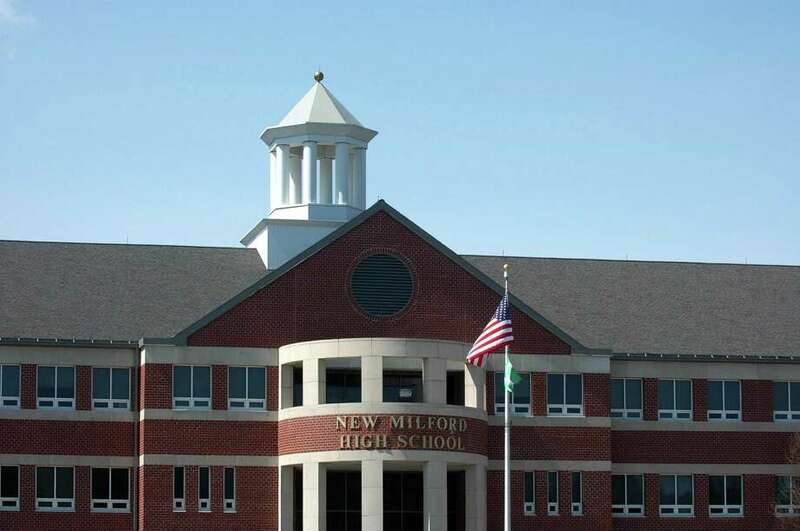 File photo of New Milford High School. NEW MILFORD — Town Council members are seeking more information before they make any decisions about replacing school roofs. Replacing Sarah Noble Intermediate School’s roof had been the original school priority, but the macroburst in May changed those plans and pushed the high school to the top of the list, requiring $200,000 for patchwork in the meantime. The town and the schools are working together on replacing roofs at both schools and town buildings. Town officials are getting prices to replace shingles with new ones at the high school, so that they have costs for all of the options. The school board already has the figures for the metal roof options and the possibility of adding solar panels. Council members and school officials will also meet to determine the best plan for replacing Sarah Noble Intermediate School’s roof. There are not as many options for Noble’s type of roof, so interim Superintendent Stephen Tracy is asking them to use the USA Communities Process for Roof Replacements, which was used a few years ago at Schaghticoke Middle School. Councilman Paul Szymanski said that he didn’t have faith in the schools facilities’ officials overseeing these projects. He said only a few options were presented for the high school and that the oil tank projects went over budget, which he said were mismanaged. He said he worries the school board will come back with only a few options and Town Council will have to send it back to get more information, losing time. “We need to look at every single option,” he said. Szymanski said they should also wait until they heard from a company that wants to look at how to make all of the buildings in town more energy efficient. Town Councilman Tom Esposito said they needed to better look at insulation and could use those energy savings to fund other projects. He also recommended a committee be established to oversee all of town and school buildings and that those committees should have members that have construction experience. He added that he was in favor of solar. “All of our schools are under blue skies,” Esposito said. School Board member Wendy Faulenbach said there’s a time frame on the dialogue. The school board will need direction soon so that they can get information together for a bonding package and not be in the same position next year. The town plans to go out to bond in the spring.